Despite drought, Tamil Nadu recorded 73 lakh metric tonnes of food grain production last year. 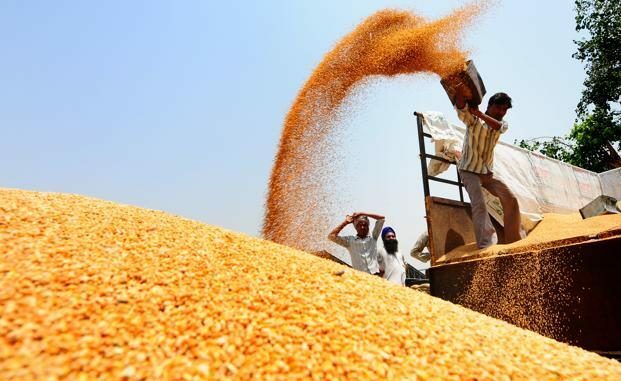 In fact, the average food grain production for 30 years till 2011 was 72 lakh metric tonnes, according to K. Ramasamy, Vice-Chancellor of Tamil Nadu Agricultural University (TNAU), Coimbatore. “Last year, except Chennai, 31 districts in Tamil Nadu were declared drought-hit. But 73 lakh metric tonnes of food grain production was achieved. It was achieved due to the good work done by farmers. It is more than the average production for 30 years,” he said at the inauguration of “Uzhavar Kalanjiyam-2017” organised by the VIT University on Friday. Last year, while drought conditions prevailed in 14 States, the country produced 282 million tonnes of food grains, he said. India stood first in the production of 11 agricultural products at the world-level, he said, adding that this was achieved despite less land and less water conditions. “It is important to understand the requirements of farmers and provide necessary assistance,” he said. He also emphasised the need for farmers to become entrepreneurs. VIT’s chancellor G. Viswanathan said it was important to use science in agriculture. Quoting former Israeli President Shimon Peres, he said, agriculture was 95% science and 5% hard work. “It was Israel that founded drip irrigation. They use 40% less water but their agricultural productivity is 50% more than ours,” he said. He pointed out that India’s agricultural productivity was less. For instance, for one hectare of paddy cultivated, the world’s average production was 4.2 tonnes, while it was 6.5 tonnes for China and 3.1 tonnes for India. “It is important to increase productivity and focus on irrigation,” he added. Of the 1,300 water bodies in Vellore, only 90 have filled now, he said, noting that there was no focus on desilting tanks. He said there were irregularities in the Mahatma Gandhi National Rural Employment Guarantee Act scheme. H. Philip, director of extension education, TNAU, said on an average, only six farmers visited the Agricultural Research Station at Virinchipuram and another 20 farmers made calls every day. This was the third edition of ‘Uzhavar Kalanjiyam’ at the university. This year, the university launched VIT Centre for Agricultural Innovations and Advanced Learning and VIT students club – Sustainable Organic Living with Agricultural Initiative. An agriculture expo featuring 72 stalls is being held on the two days. About 4,500 farmers are expected to take part. Among others, VIT president G.V. Selvam, Vice-Chancellor Anand A. Samuel and pro-Vice- Chancellor S. Narayanan spoke on the occasion.